A frame of ‘brood’. There are twelve of these frames in the lower box of each hive. One beehive now has a ‘super’ on it. Well, the bees did boom – there are, for early May, huge numbers of bees in the hives with ‘brood’ in all stage of development. 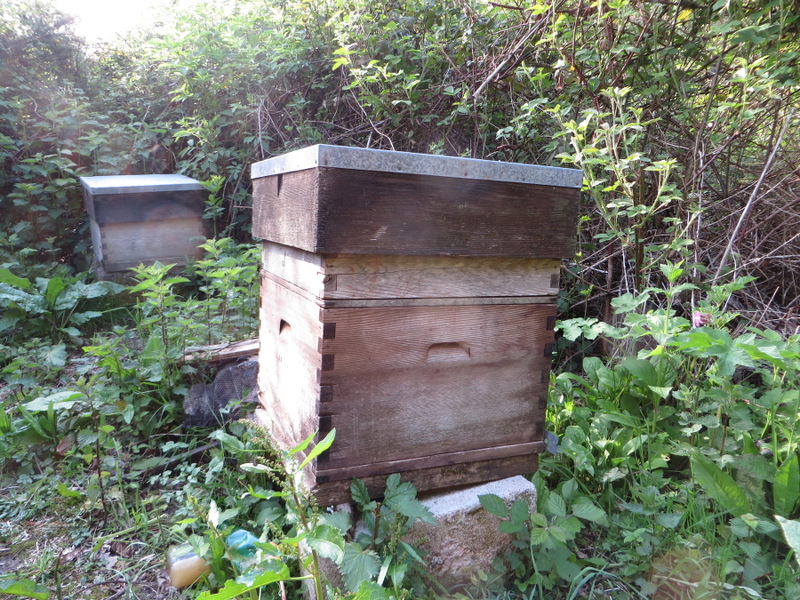 They need more space so extra boxes, ‘supers’, will be added on top of the hives. 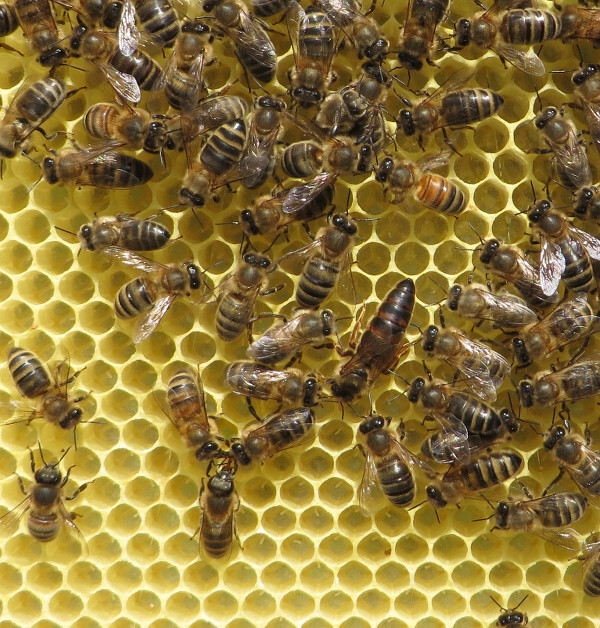 Without extra space the bees will rapidly become overcrowded and probably swarm . So, why are the bees doing so well? It’s been relatively warm, both day and night, (warm enough that on one visit we were able to spend time to find the Queen bee of the hive), there are lots of flowers but just enough rain as well and the bees have very little disease pressure to contend with. When conditions in spring are good bee numbers increase very fast. The queen bee. Notice how the bees make way for her. In the last post we said the bees might boom – they did. 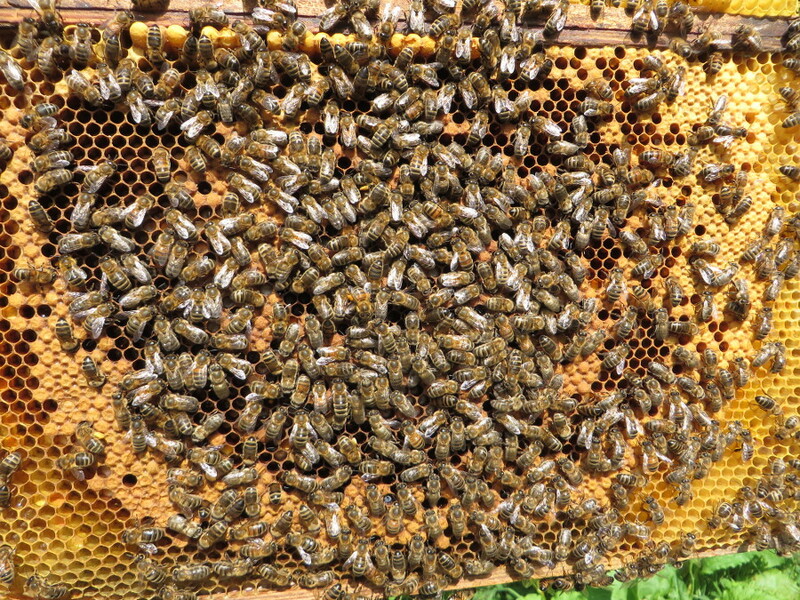 If the weather stays warm, and the bees don’t swarm, we might get some Abbrook Farm honey within a month.